As a consequence of the new Law on Value Added Tax and Law on Corporate Income Tax with effective from 1 January 2009, the Ministry of Finance on 31 December 2008 issued a very important tax regulation: Circular No. 134/2008/TT-BTC (“Circular 134”). 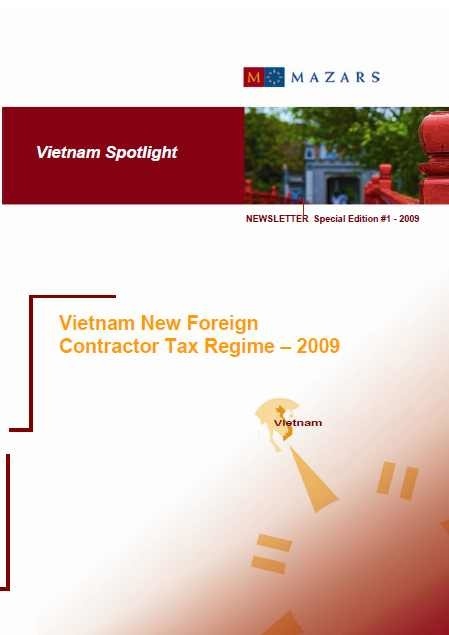 This law pertains to the taxation regime applicable to foreign contractors and foreign subcontractors (“Foreign Contractors”) doing business in Vietnam or having income derived from Vietnam.